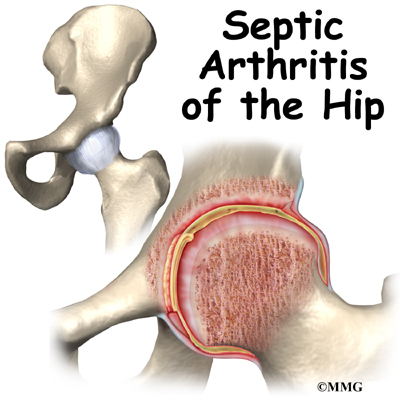 It's not always clear what causes septic arthritis to get started. In some cases an injury seems to lead to a joint becoming infected. In other cases, the child may have other medical problems that create an altered immune system and reduce the ability of the body to fight off an infection. Either one of these problems can increase the risk of infection. Early diagnosis is important. 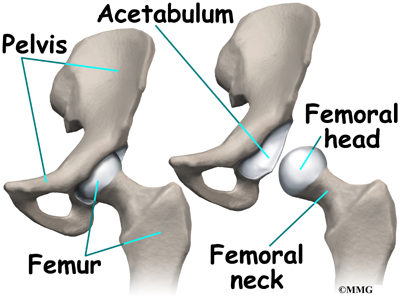 The infection in the hip joint can damage the joint and the sooner treatment is started the better. 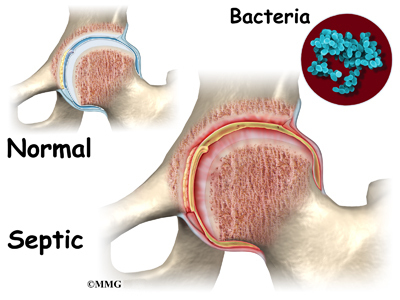 The history and physical examination are usually enough to make your doctor highly suspicious of septic hip arthritis. Blood tests help confirm the diagnosis. A high erythrocyte sedimentation rate (ESR) or "sed rate" and a white blood count greater than 12,000 are red flags to suggest inflammation or infection. Sudden onset of symptoms with fever and positive blood tests all point to septic arthritis. The doctor will look for signs of swelling, tenderness, and check the child's range of motion. The spine is also assessed for any problems that could cause hip pain. X-rays are often ordered. 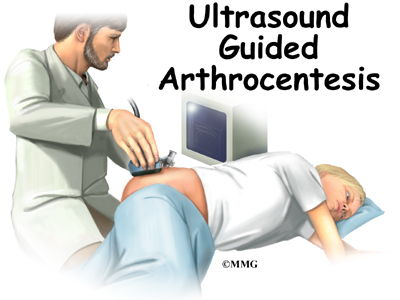 Joint fluid may be removed with a needle using ultrasound to guide the needle into the joint. 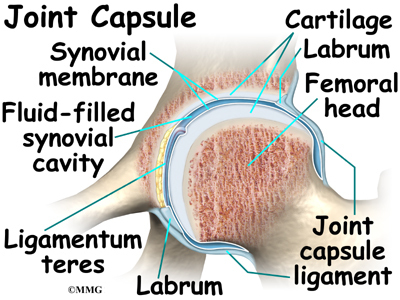 Lab tests on the fluid will identify the exact cause if the problem is a septic hip.